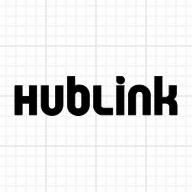 Users in the same HubLink account can message one another inside the application. This can be helpful when discussing charter details or following up about the status of a charter or vendor. To message another user in your account, click the three horizontal lines in the upper left corner of the application. Select "Users" from the menu. On this screen, you'll see all the users associated with your account. To message a user, click the blue icon next to the user's role (outlined in green). This will launch the standard HubLink messaging screen.